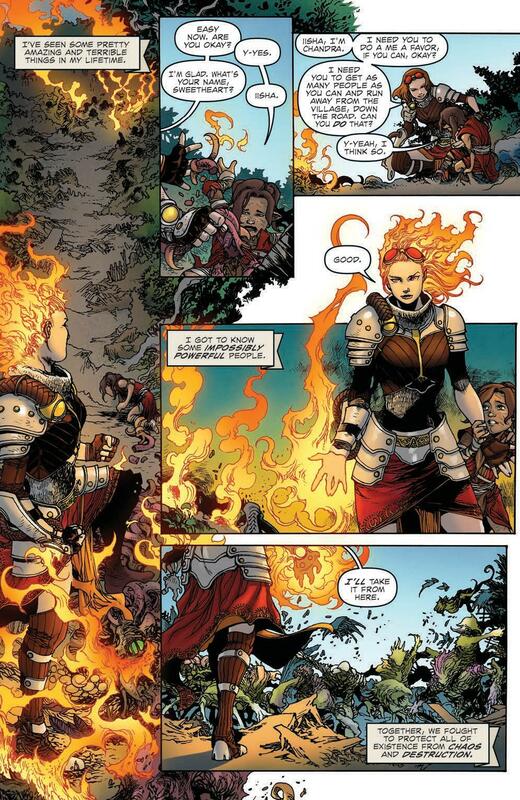 Full disclosure, I’m not really much of a Magic The Gathering guy, so I’m going into this series looking at it like any other fantasy comic. 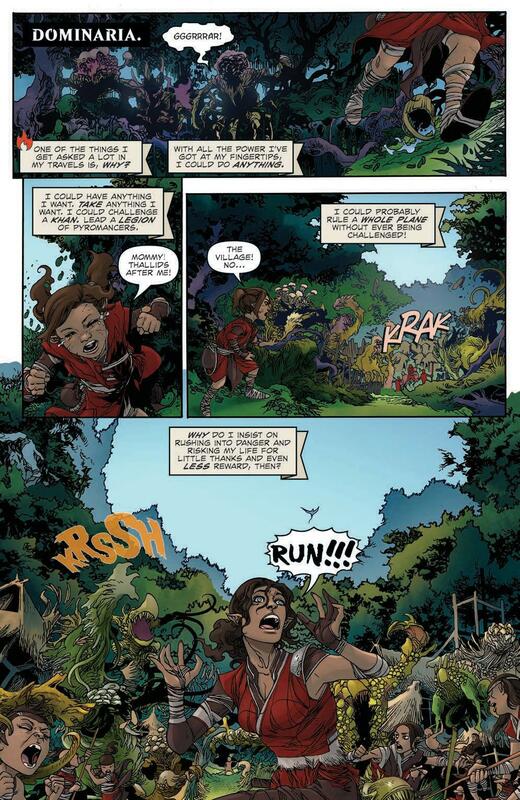 Thankfully, the creators have trimmed down the homework requirements rather impressively for this one, and with the exception of a couple of references to MTG lore along the way and a final page reveal that fell more than a little flat, this ends up feeling like a solid first issue of a new standalone series. 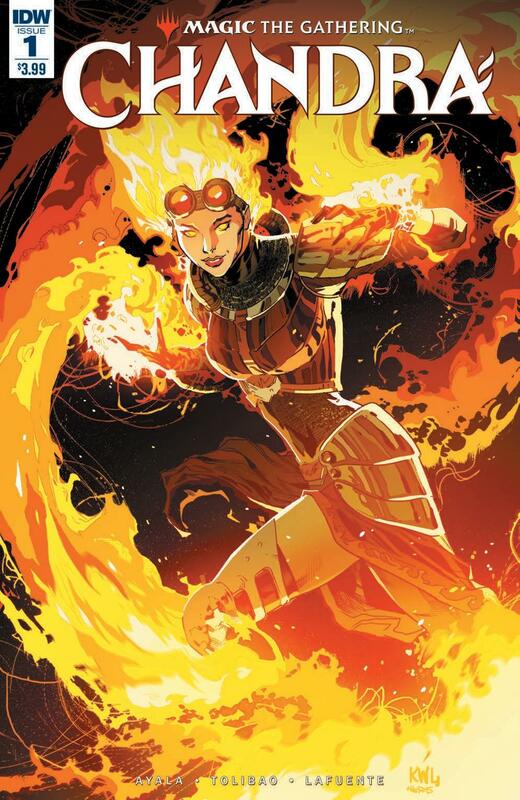 Chandra Nalaar is a Planeswalker, which basically gives her the ability to travel between worlds, along with a mastery of fire which she uses to devastating and stunning effect here. 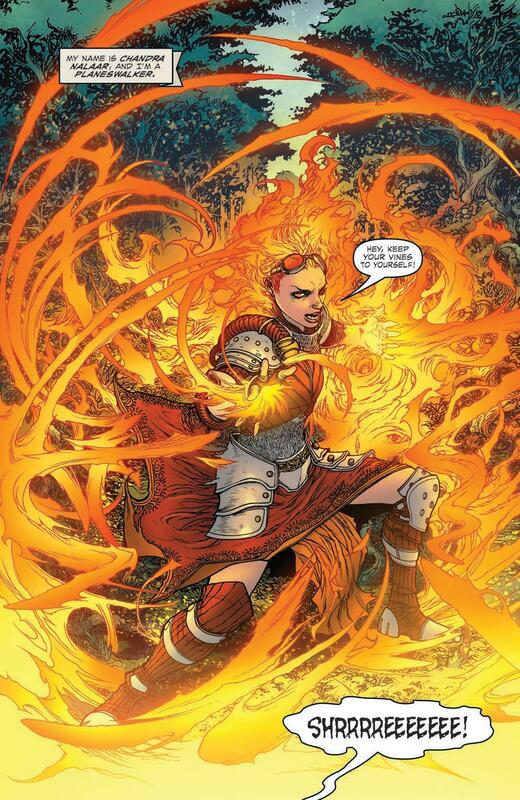 Writer Vita Ayala’s story is clearly still in its embryonic stages, with the bulk of this first issue concerned with introducing readers to Chandra, her outlook and her impressive set of skills. That’s not necessarily a bad thing though, especially for new readers like me who may need more of a gentle introduction into this particular world. The real selling point of this series, for me at least, is the striking artwork of Harvey Tolibao and Joana Lafuente. 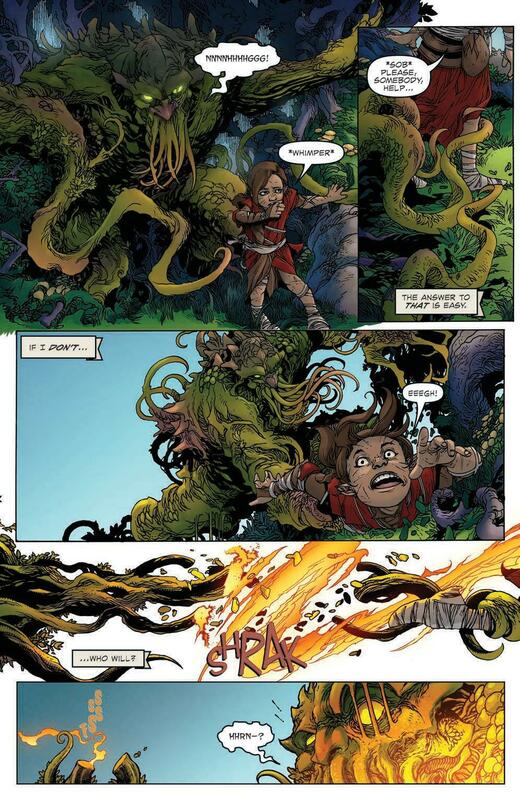 Tolibao’s pencils are nice and tight, and his panels are packed with detail and energy, particularly during the opening sequence where we get to see Chandra cutting a swath through an onslaught of plant monsters. 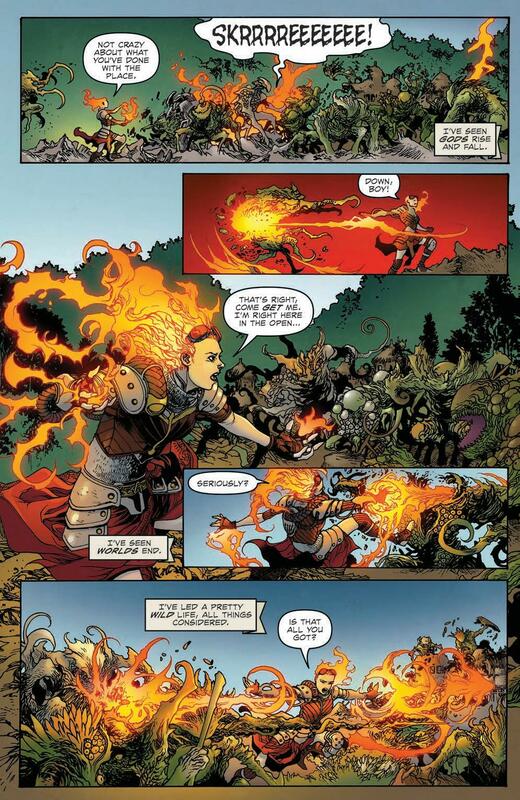 Lafuente adds the cherry on the sundae though, giving everything a pleasingly solid feel and doing a great job of nailing the impressive yellows and oranges when Chandra unleashes her aforementioned pyromancy skills. This is an action heavy first issue which beautifully showcases the skills of the art team while introducing us to our likeable leading lady and the difficult situation she finds herself drawn into. The story itself perhaps feels a little flimsy for the time being, but the overall package is intriguing enough for a total newbie like me to still want to pick up the next issue. Which, at the end the day, is probably the main things a first issue should be hoping to achieve.